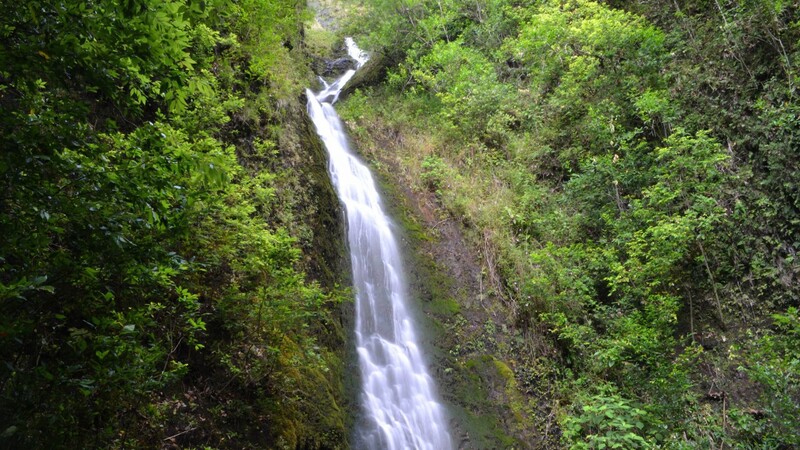 * Board of Water Supply requests that permits be obtained for this hike. 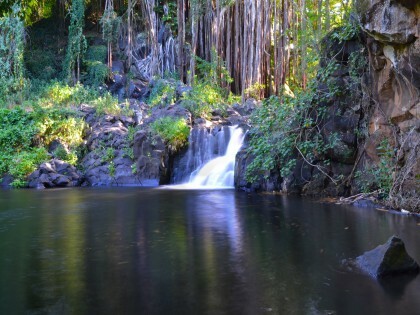 Tucked away in the back of Nu’uanu Valley, Lulumahu Falls is one of the most impressive and best-known secrets in the Pali area. 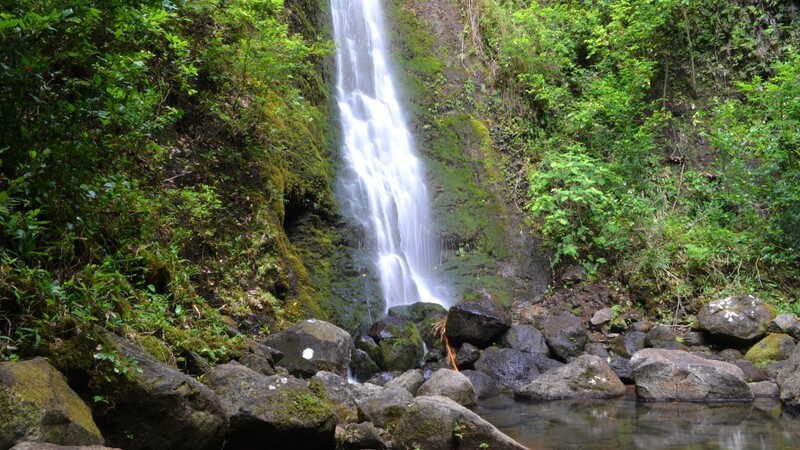 The trail can be difficult to follow at times, but the hike through the bamboo forest and along the stream makes the trip to this 50-ft waterfall well worth the effort. Hikers may have to cross the stream a few times to stay along the path, but trail seems to be open to interpretation – as long as you stay along the stream, you will reach your destination. 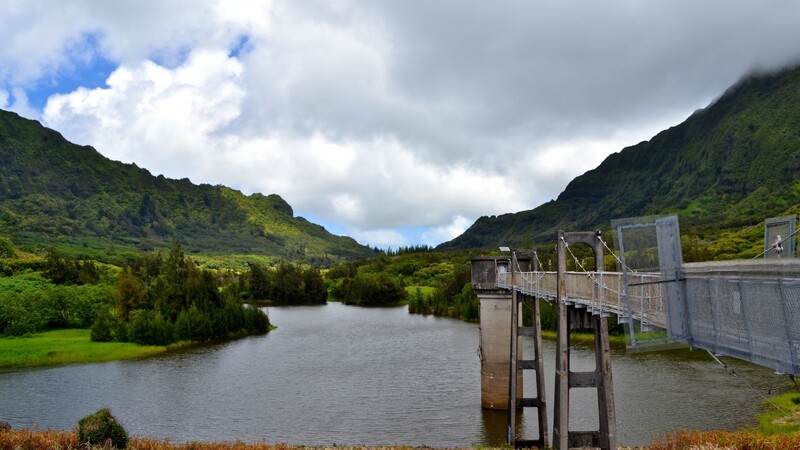 The land is owned by the Honolulu Board of Water Supply and passes by the Nu’unanu Reservoir, so those wishing to hike this trail should obtain a permit first. 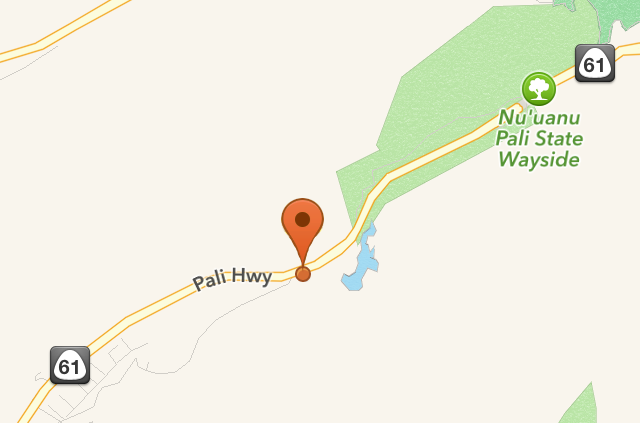 By car: From Waikiki, take the Pali Hwy (Route 61) towards Kailua, and take a slight right onto Nu’uanu Pali Drive. Follow this road all the way until the end to where it just about rejoins with the Pali Hwy. Here you will see an open turnout on the side of the road where you can park. Ahead to the right you will see the hunter’s entrance. Pass through and then take your immediate right through the bush. This will let you out along a wide gravel path. Follow this until turning left onto a trail lined with bamboo. Keep following the trail until it brings you to a clearing. Head up the hill to the reservoir and follow the path to the right, and then go up a set up stairs. Continue until the stream, and then just follow the trail along the banks, crossing a few times until you reach the falls. This is a beautiful trail, but know it is often rainy and muddy. Be prepared to get muddy. 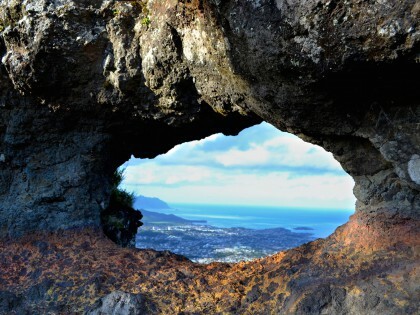 This is not a sanctioned Oahu hike, so there is no rubbish pick up. Bring a plastic bag to carry out your trash and muddy clothes.shoes. this will ensure future hikers will have an equally beautiful experience.